Rappers Waka Flocka Flame and Ugly God are set to perform on Oct. 19 at the Quadrangle for this year’s Homecoming, according to Student Programming Council (SPC) President Abbey Kelly (19B). 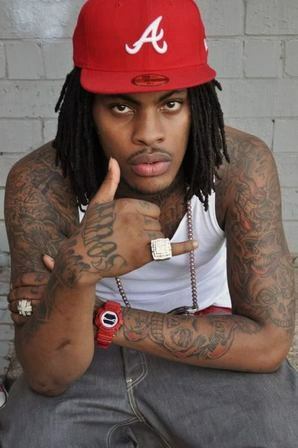 Juaquin James Malphurs, known by his stage name Waka Flocka Flame, is an Atlanta-based rapper who first rose to prominence as Gucci Mane’s protege. His hits include “Get Low” and “No Hands,” which hit No. 13 on the Billboard Hot 100 in January 2011. Royce Rodriguez, known by the stage name Ugly God, is known for his debut single “Water,” which he released on SoundCloud in March 2016. The song was later released for digital downloads in November 2016. The song peaked at No. 80 on the Billboard Hot 100 in February 2017 and went platinum in 2017. SPC decided to pursue hip-hop and rap artists based on the results of undergraduate student surveys, according to SPC Band Party Co-Chair Jarret Rovner (19C). R&B singer Keri Hilson (03Ox, 05C), is scheduled to perform at the alumni Homecoming concert on Oct. 20 at the Quadrangle, the Wheel previously reported. Kelly declined to provide the amount paid to the artists for their performances.